Organizers of the protests in Sudan that forced long-ruling President Omar al-Bashir from power are calling on the military to "immediately and unconditionally" hand power to a transitional civilian government that would rule for four years. The political parties and movements behind the four months of protests said in a joint statement late Saturday that they will remain in the streets until their demands are met. They say the handover to civilian rule would be the "first step toward the fall of the regime." The protesters fear that the military, which is dominated by al-Bashir appointees, will cling to power or appoint one of its own to rule the country. 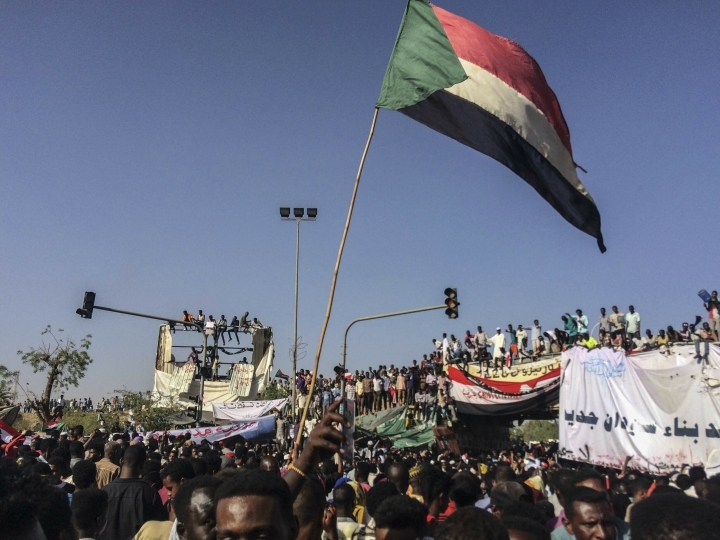 Saudi Araba and the United Arab Emirates have issued statements in support of Sudan's transitional military council after mass protests forced longtime President Omar al-Bashir from power. Saudi Arabia says it "stands by the Sudanese people" and calls on all Sudanese "to give priority to the national interest" of their country. The UAE called on the Sudanese "to work for protecting legitimacy and ensuring a peaceful transfer of power."